The ability to reflect on practice is a fundamental component of effective medical practice. 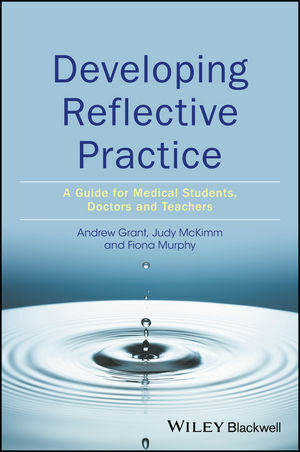 In a sector increasingly focused on professionalism and patient-centred care, Developing Reflective Practice is a timely publication providing practical guidance on how to acquire the reflective skills necessary to become a successful clinician. This new title draws from a wide range of theoretical and practical multidisciplinary perspectives to assist students, practitioners and educators in embedding reflection in everyday activities. It also offers structures and ideas for more purposeful and meaningful formal reflections and professional development. Examines and explains the theoretical and conceptual approaches to reflective practice, including its models and frameworks. Professor Andrew Grant is Dean of Medical Education at Swansea University Medical School, UK. Professor Judy McKimm is Professor of Medical Education and Director of Strategic Educational Development at Swansea University Medical School, UK. Professor Fiona Murphy is Professor of Clinical Nursing at the University of Limerick, Ireland.